It's that time of year again! No, not spring...I thought that it was going to be spring last week when the temperatures climbed into the upper sixties for a day...but then it snowed again yesterday. I'm referring to my annual Free Help With YOUR painted furniture Project offer. 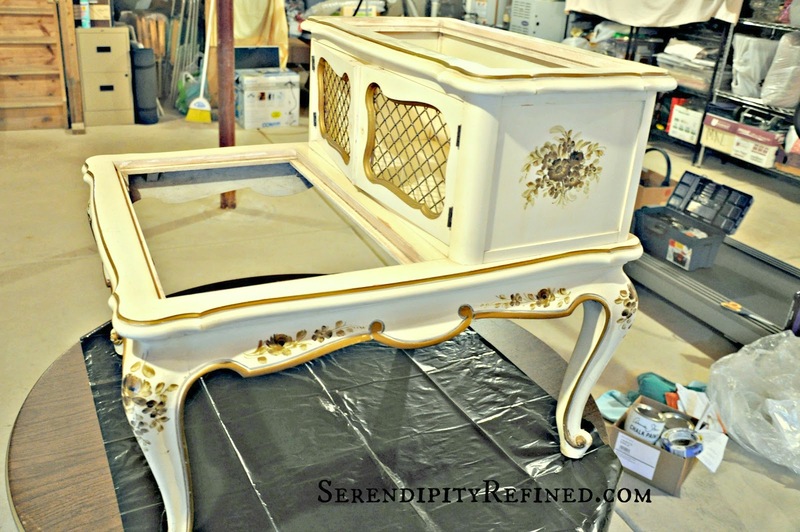 As I've done about once each year for the last two years, I sent a message on the Serendipity Refined Facebook page offering a free private painting lesson for anyone (up to four hours per lesson, 5 openings) living within an hour of my suburban Chicago, IL home who wants to learn to paint furniture prior to April 1. 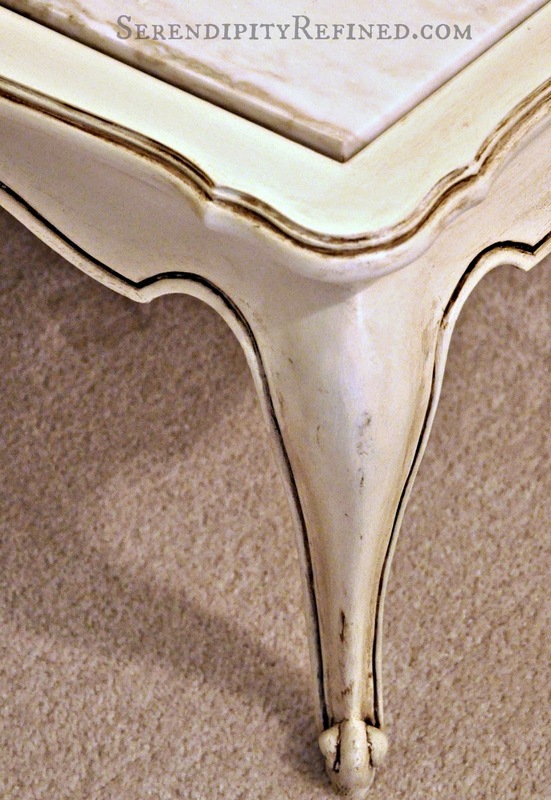 Last Saturday, I went to Elaine's home where we gave a "gentle" makeover to a French side table that has been in her family for sixty years. 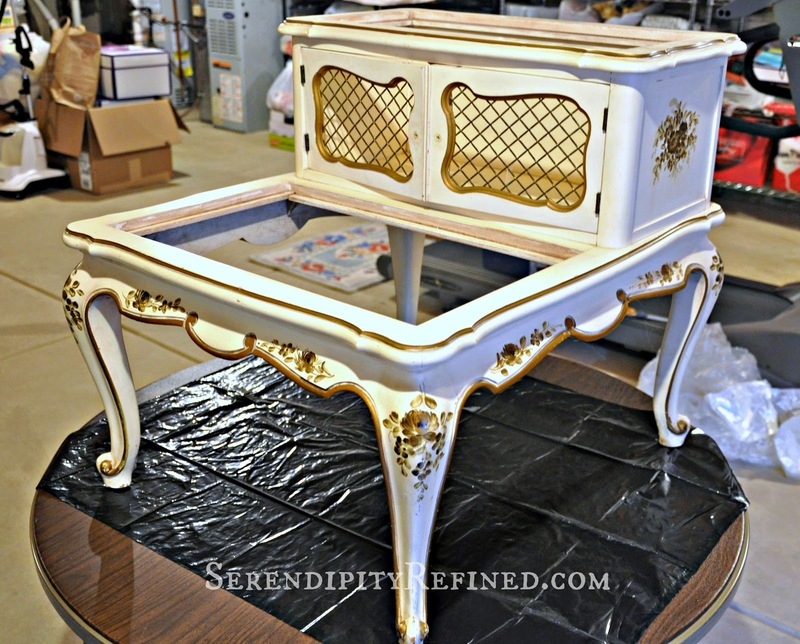 The finish had yellowed and she wasn't a fan of the gold painted flowers or gold gilt detail. 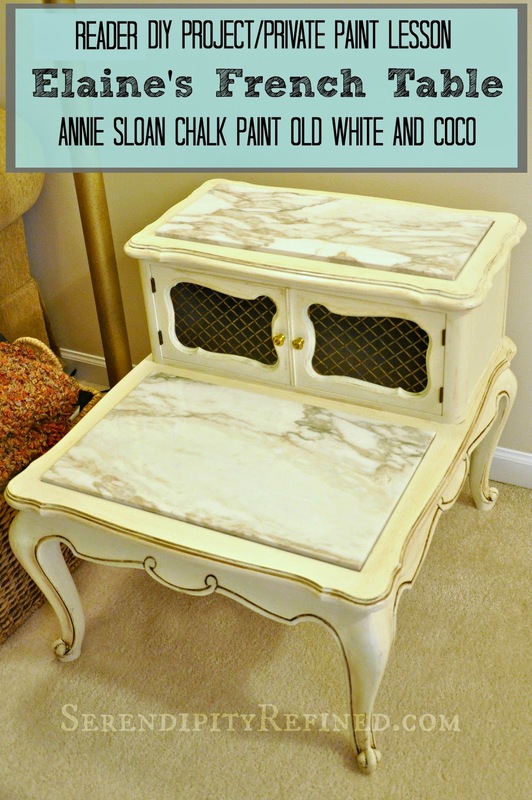 She chose Annie Sloan Chalk Paint in Old White and Coco with a mix of dark and clear wax to finish it. During the lesson, we discussed the basics of furniture painting: the differences between the various brands of decorative paint and brushes which are available, painting preparation and basic techniques. 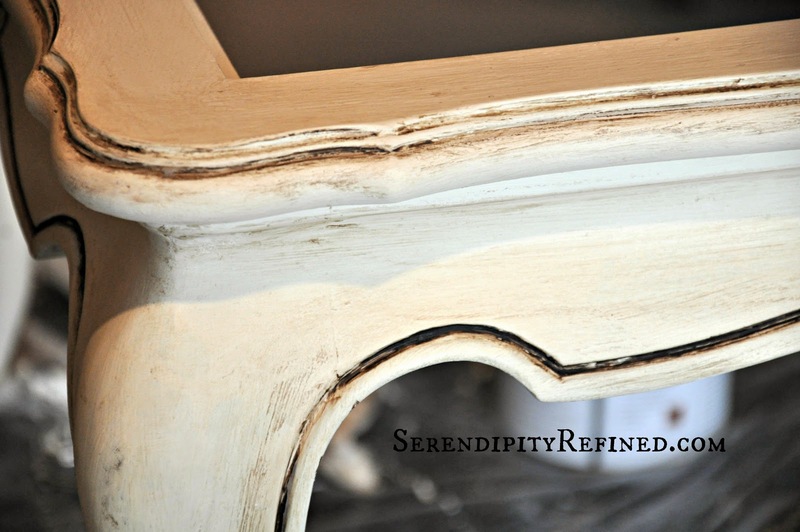 We sanded the piece and painted the exterior of the table with two coats of ASCP Old White. The inside of the cabinet was painted in ASCP Coco. 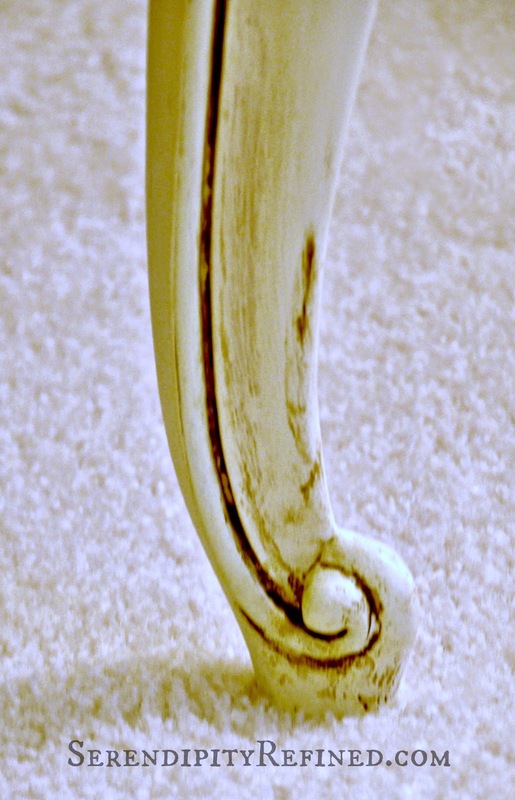 We distressed the piece very slightly using a medium grit sanding block. Then, we waxed with clear wax and immediately applied dark wax to the detail on the piece. I also got to spend some time with Elaine's beautiful daughter who is expecting her first child, a son, in a few months. 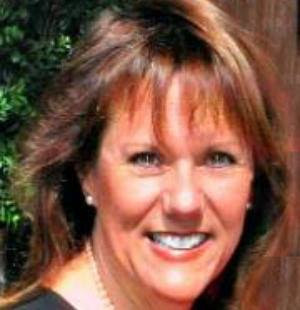 We discussed the fact that ASCP is low VOC and safe to use indoors. 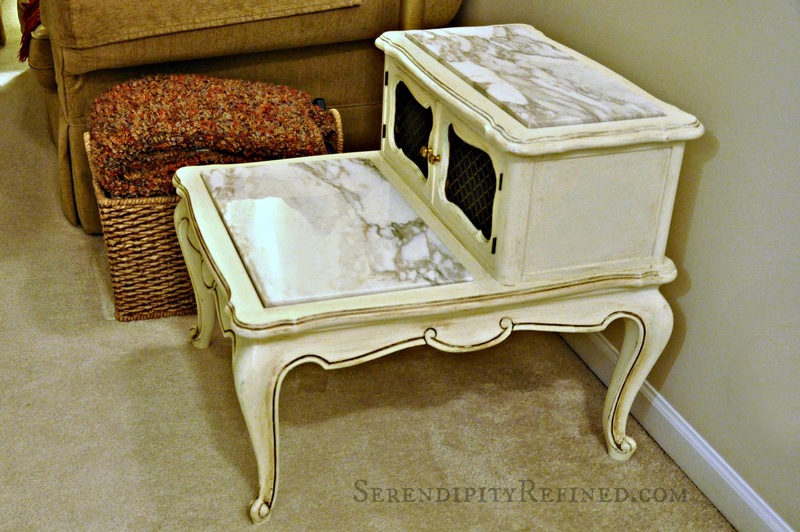 We also talked about a color scheme for a vintage chest that Elaine has which will make a perfect toy chest for her Grandson as well as several other painted furniture projects that she's planning now that she knows how easy it is to do! 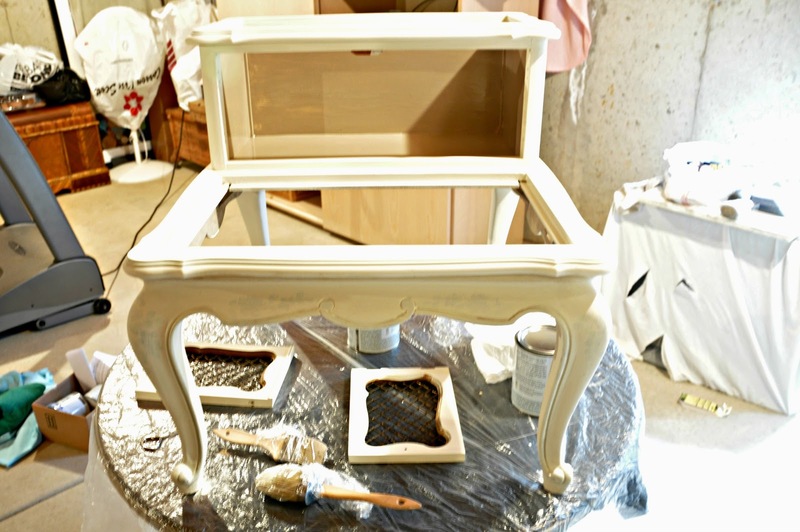 There are still five more Reader Featured projects where I'm teaching private lessons and sharing the results of readers who are painting furniture for the first time with my help so stay tuned! Sorry for the quality of the photos, I'm limping along after an unfortunate incident involving a certain yellow lab, my tripod, and my camera last week. The new one's on order.